I’m sure they have a fancier name, in Linnean nomenclature. 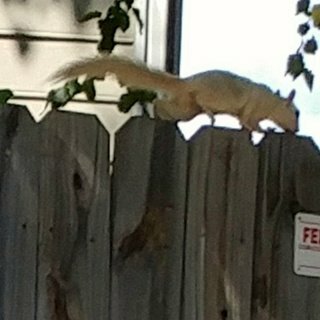 But we call him/her White Squirrel. They live in our neighborhood, alongside the more mundane grey squirrels. They are not albino.